Nestled in the foothills of the Red Rock Mountains and located right outside of Red Rock Canyon is the prestigious 738 acre Red Rock Country Club village. As part of the Summerlin Master Planned Community, Red Rock Country Club’s elevation allows fro spectacular views of the Las Vegas Strip and surrounding mountains. Residents have immediate access to two Arnold Palmer golf courses, which are surrounded by approximately 1,000 luxury and ultra-luxury homes. In addition to the natural beauty of the mountains and the green fairways of the golf courses, residents of RRCC will also enjoy waterways, parks and recreational trails. Red Rock Country Club has great amenities within its guarded gates, and things are no different once you step outside! Located just minutes from Downtown Summerlin, the Red Rock casino and the I-215, all that you could ask for in Las Vegas is easily accessible, including some of the best schools in the valley. 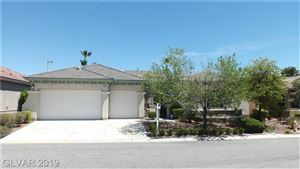 The Foster Beckman Group can help you find a home for sale in Red Rock Country Club! Our team of Las Vegas Real Estate Agents and home specialists at Foster Beckman Group are available to help you buy, sell or invest in Red Rock Country Club property. Call us today at 702-686-2695 to see how we can help you with all of your real estate needs!